CISF Recruitment 2017: Apply for 378 Nos. Constable (Tradesmen) Vacancies- Last Date 20-11-2017. - Jobs4NE : Jobs in Assam and North East India. 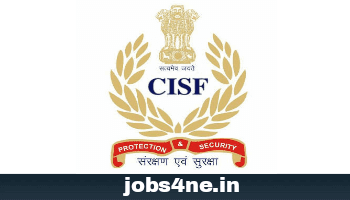 CISF Recruitment 2017: Apply for 378 Nos. Constable (Tradesmen) Vacancies- Last Date 20-11-2017. Online applications are invited from Male Indian citizens for filling up the following temporary posts of CONSTABLE (TRADESMEN) in the Central Industrial Security Force in the trade of Barber, Boot Maker, Cook, Carpenter, Electrician, Mason, Mali, Painter, Sweeper, Plumber and Washerman. On their appointment, they will be governed under CISF Act and Rules as well as Central Civil Services Rules applicable to other members of the force from time to time. On appointment they shall be entitled for the pensionary benefits as per the “New Restructured Defined Contributory Pension Scheme” applicable for the new entrants to the Central Government Services with effect from 01-01-2004. Last Date of Online Application: 20-11-2017. Name of the post: Constable (Tradesmen). Total no. of posts: 378 Nos. Boot Maker : 08 Nos. Age Limit: Between 18 to 23 years of age as on 01-08-2017. Educational Qualification: Matriculation or its equivalent from a recognized board/ university. Scale of pay: Level 3 of pay matrix 21,700 to 69,100/- (Old pay band–I Rs.5200-20200/- + Grade Pay Rs.2000/-) + usual allowances as admissible to the Central Government employees from time to time. Application Fee: For General (UR)/ OBC Candidates is Rs.100/- through SBI Challan/ Net Banking/ Credit card/Debit Card. SC/ ST/ Women/ Ex-servicemen are exempted from application fee. How to Apply: Interested candidates may apply online through the official website: https://cisfrectt.in on or before last date. Tags: 10th Standard, All India, Central Govt.